PC shipments were significantly down in the first quarter according to the latest figures, although the popularity of netbooks and major price cuts kept things from being even worse. 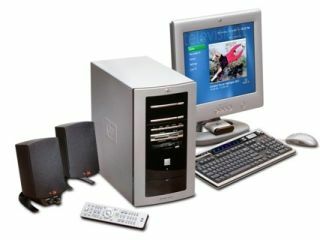 IDC and Gartner produced figures suggesting that the number of computers actually shipped took a fall, with the former suggesting that the drop was as much as 7.1 per cent. However, IDC vice president Bob O'Donnell was pleasantly surprised by the figures, especially in the US, insisting that predictions had been far worse for the industry. "The US was surprisingly strong, it outperformed our forecast," said IDC vice president Bob O'Donnell, calling the numbers a positive sign for the overall market. "The fact that the US outperformed the worldwide totals is I think somewhat hopeful." The top of the pile was Hewlett Packard, who managed to grow shipments by nearly three per cent, but second placed Dell's shipments dipped 16.7 per cent and Acer continued its steady growth.